Join the discussion on our forums! 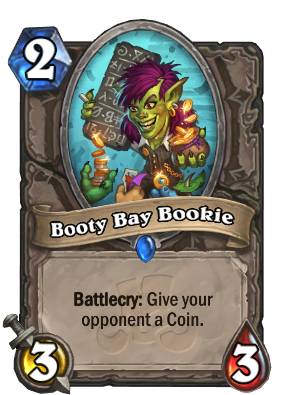 Come discuss Booty Bay Bookie over in our dedicated Booty Bay Bookie discussion topic. 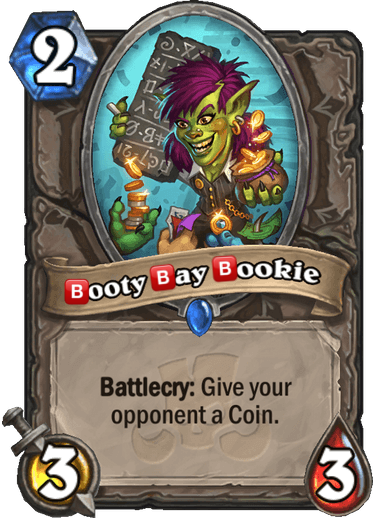 Battlecry: Give your opponent a Coin. Also makes a great librarian. She's really good at fixing books! I recently tried a deck using Booty Bay Bookie, Millhouse Manastorm with Piloted Reaper, and Call to Arms. It was about as bad as it sounds. You know I had to do it to 'er. Decent mill card and that's it. 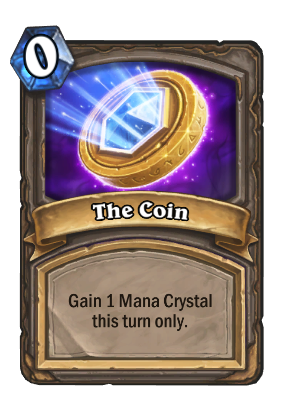 can't really mill all that well with coins. At best they'll burn one card. Really nice for mill decks, especially in wild. Booty Bay Bookie betting brings big bucks, but Booty Bay Bodyguard bets badly, barely breaking... beven.